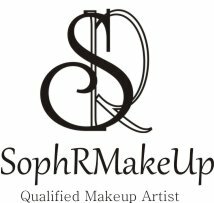 SophRMakeUp offers makeup lessons at her studio in Stockport or in the comfort of your own home. 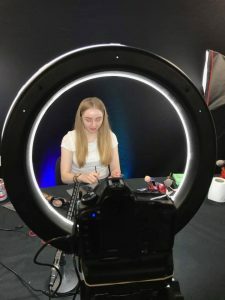 Makeup lessons in Sophie's studio will include a ring light and lightening also professional photos of the completed look. Studio makeup lessons will be offered when a model is supplied by Sophie or the client. Clients have a choice of skills to learn from, including smokey eyes to special effects makeup by working with Sophie to create a action plan. The videos above are some makeup tutorials Sophie has produced in the studio. As this service is at home Sophie is very limited to what she can teach. The skills the client can learn is any beauty related makeup such as glowy skin or colour correcting. Depending on travel Sophie may be able to bring the ring light as this gives the best light for photos. This service is only available for the client using their own face to work from. In different circumstances the client can use their own model instead of their face. Clients can watch Sophie's tutorials on Youtube free of charge. 2018 Sophie is going to start posting makeup tutorials on her Youtube channel regularly however it will include very minimal information. A service SophRMakeUp is introducing in 2018 is paid online makeup lessons. Certain time on a certain day Sophie will be streaming her makeup lesson across the world for a very low price. More details will be announced early 2018.